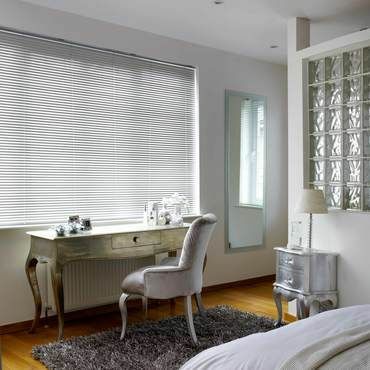 Silver Venetian blinds are sleek and stylish. If refined glamour is your thing, then our fabulous range will have plenty to offer you. You’ll love our gorgeous styles. There are light and dark shades; brushed metal finishes; striped patterns and abstract designs to choose from. So go ahead: take a look at our silver Venetian blinds collection. Some of these styles will make an eye-catching feature in your room. Other designs will subtly blend in. But one thing’s for sure; all our silver Venetian blinds will transform your décor. Of course, our silver Venetian blinds offer more than just great looks. These are designs that provide exceptional control over light and privacy levels. The whole window dressing or just the louvres can be adjusted till the desired effect is achieved. Venetian blinds are ideal for any room in the home. You’ll find there’s a lot to consider when choosing silver Venetian blinds. Book a free home appointment and one of our advisors will bring our range to you. 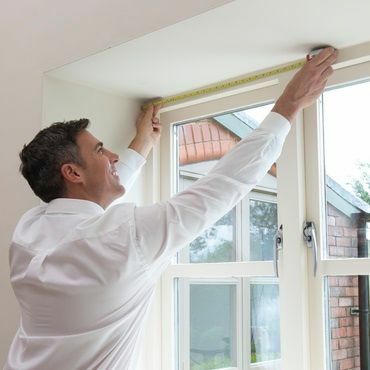 With an advisor on hand, you’ll have the perfect opportunity to pick silver Venetian blinds. Your advisor will take you through the different silver Venetian blinds and offer you an experienced opinion on what works best with your interior. Your advisor will also measure up and give you a no-obligation quote to consider.